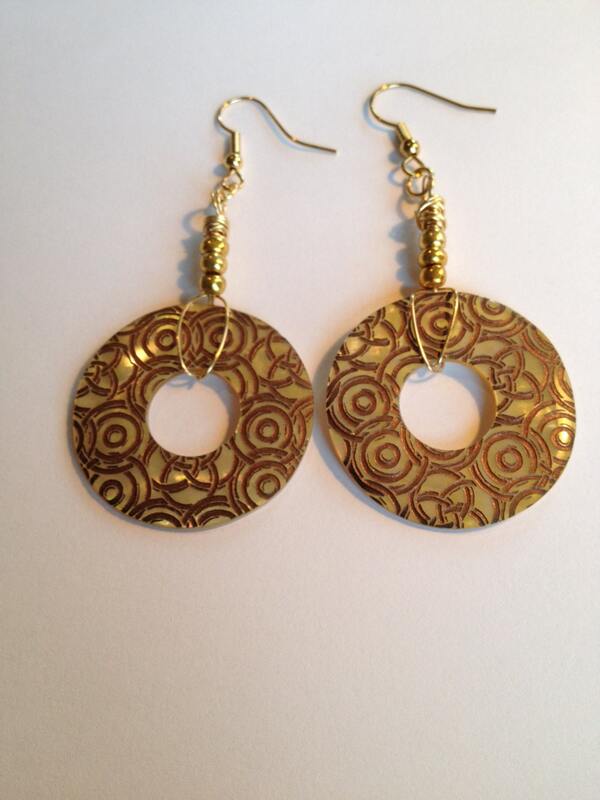 SJC10220 - Mother of Pearl earrings with circle design, gold-color seed beads and gold plated wire.. 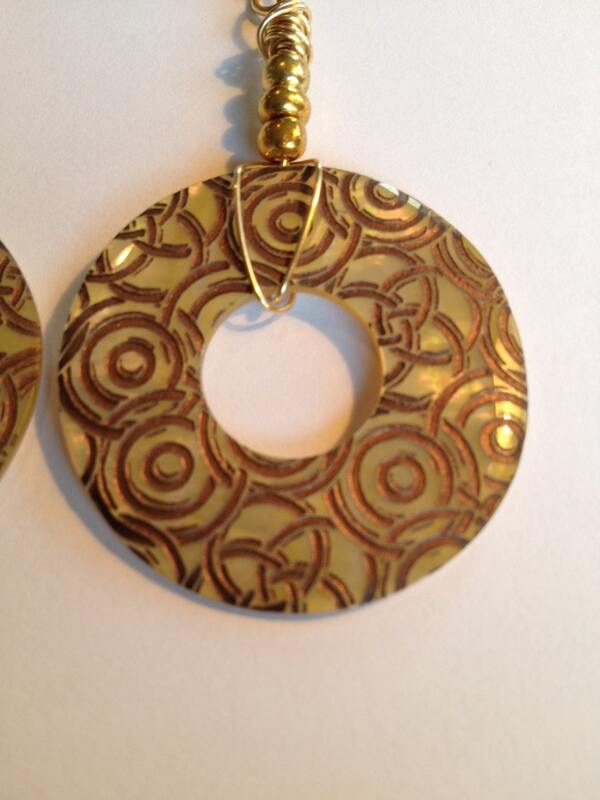 Mother of Pearl earrings with circle design, gold-color seed beads and gold plated wire. 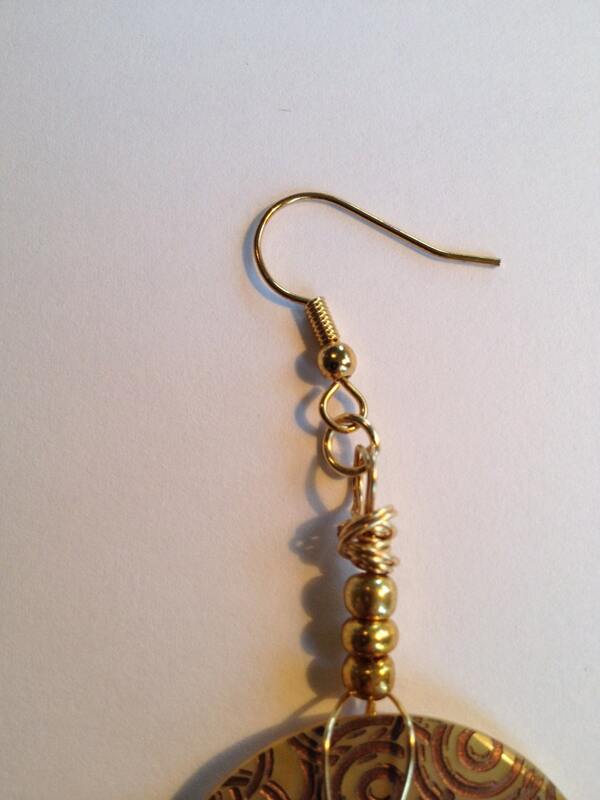 The ear hooks are gold-plated. These earrings measure about 3" long.